Do you feel like you frequently miss the mark in your relationships? Are you in a relationship you’d like to improve? Do happy fulfilling relationships seem out of reach? Would you like to create a beautiful and loving relationship? Would you like to improve ALL your relationships? Would you be willing to make some SIMPLE changes to dramatically improve the quality of ALL your relationships? 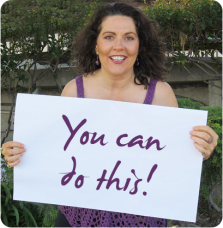 You can do a Relationship Reboot! No kidding – you’ll be amazed at how you can make a couple of simple shifts to have deep healing in your relationships and to attract better quality relationships – remember, like attracts like. We’re all ONE and in Truth we have only ONE relationship. If you improve ONE relationship, you improve them all. Are you ready to roll up your sleeves and do a Relationship Reboot FOR REAL? In this 5-part class series, you will learn fundamental ways that you can profoundly improve the quality of your relationships starting immediately! It’s much simpler than you think – if you’re willing! This series is for people who are ready and willing to do something different! Nothing will change if you don’t APPLY what you learn! “Relationship Reboot means so much to me. I’ve been able to really shift things with my husband and my children. The REAL HEALING is so needed and it’s happening! Everyone benefits. What a blessing for us all. Thank you so much!” Lisa B. “I love all the classes. The work is sooo good and the Relationship Reboot classes were like: WOW! It made even more CLEAR what the challenges are even in areas that I wasn’t aware of. How wonderful and how healing! Thank you!” Barbara F.
“I feel transformed!” Peter R.
Your whole life is a network of relationships – at work, at home, with friends, family and co-workers. Relationship Reboot offers relationship tools so you can be successful and quickly stop making the same old mistakes of the past. Holy, healthy, loving relationships can be yours! For only 197. you get 5 class audio replays & downloads, & transcripts! 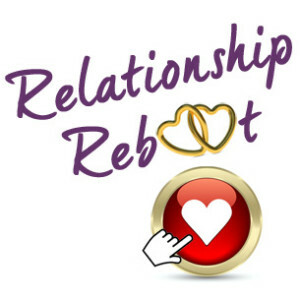 SHIFT your relationships and experience more Love in all areas of your life with Relationship Reboot!